Windows 10 is big leap in terms of design compared to the windows 7. But many users like me, tend to customize the fonts for various reasons, personally i do it because i am always surrounded by texts, and a change is always nice. That being said , the Windows 10 bundle ships with many different beautiful fonts that one can use to their preference. But there are many fonts available online that you might want to download for various projects. 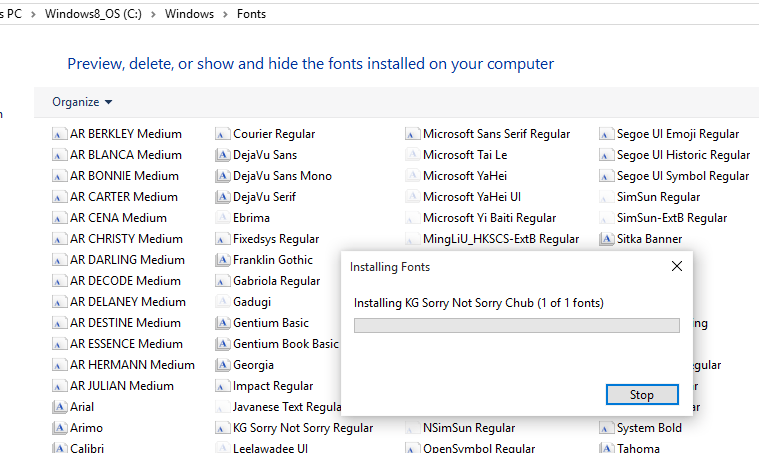 Windows 10 and Windows is essentially very much in favor to you when it comes to installing third – party fonts. 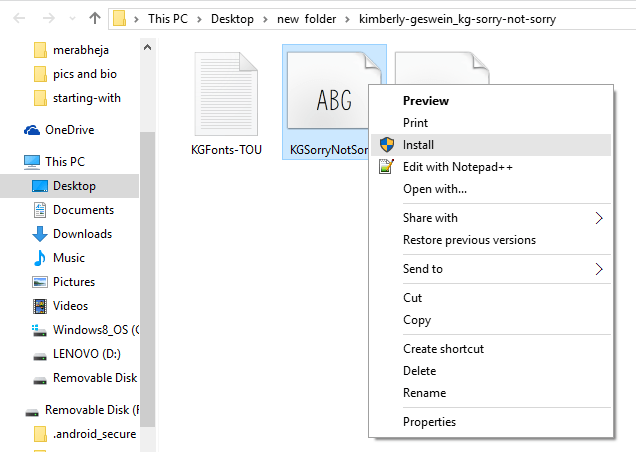 Windows 10 like its predecessors supports the installation and deletion of third party fonts without editing the original system fonts that came bundled with the Operating System, or even without the use of third party tools to install or remove the font. Where do I find cool fonts? Essentially , if you web search for cool fonts for download, you should be able to find websites that allow you to download hundreds of different fonts for use with your windows. The catch being, many of these sites might be full of ads or worse, have malware. 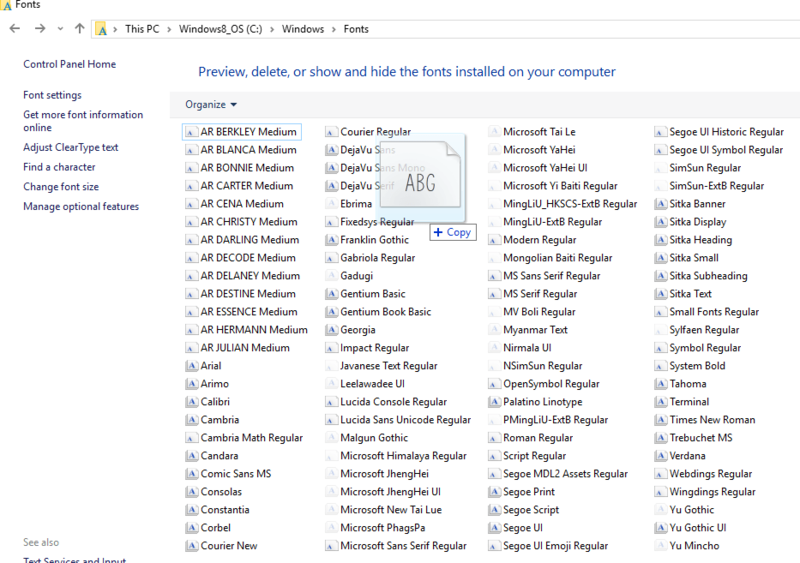 In any case if you haven’t been able to find yourself some custom fonts to install on Windows then i have some cool, safe and malware free sites listed below for you, to download third party fonts from. This is a google portal that provides various fonts that you can install on Windows 10. Note: This installation process will not work for google fonts. FontSquirrel is another website that offers safe downloads for third party fonts. The portal is jam packed with categories and different types of fonts for you to browse through. FontSpace is another free web portal to download fonts for Windows 10 and Mac. 1- If the font file is in a .zip or .rar format, simply extract its contents to a temporary location. 2- In the temporary folder click on View in the menu bar, and change the explorer view to Thumbnails. 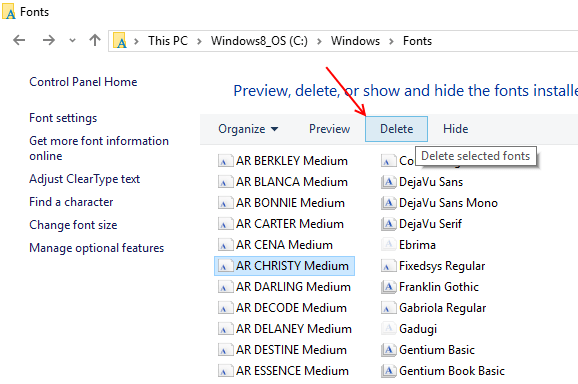 3- Windows will now show you previews of all the different downloaded fonts in the folder. Select the one you want to install. 4- Right Click on it and select Install. Now wait for the installation process to finish. Once finished, you can go to your desired program and put the font to its use. 1- Extract the contents of the zip folder to a temporary location. where C is the designated letter of the drive, your system files are installed in. 3- Once you paste the fonts, Windows will show you a dialog box that will indicate that the font is installing. Wait for it to finish. Once done, you will be able to use the font in your desired program. 2- Find the desired font and click on it. 3- Search for Delete in the explorer above and select it.